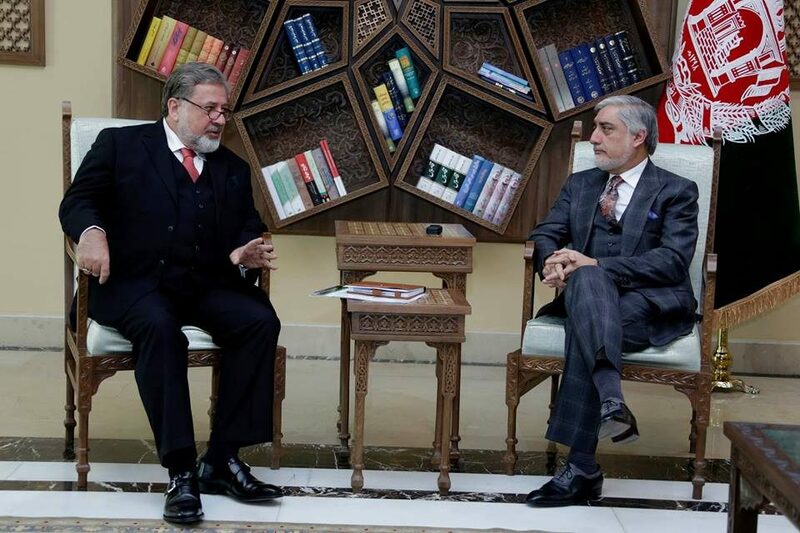 KABUL: Chief Executive Dr. Abdullah Abdullah met with permanent representative of Organization of Islamic Cooperation (OIC) Huseyin Avni Botsali at the Sapidar Palace on Sunday, his office said in a statement. Both sides exchanged views on peace talks and the country’s ongoing situation. OIC permanent representative presented a report on his activities and assured of his organization’s continued cooperation with Afghanistan, the statement added. He added OIC is making effort to enhance cooperation with Afghanistan. Appreciating OIC permanent representative’s cooperation and activities, CE Abdullah called the organization’s role important, adding it can cooperate with Afghanistan in ensuring peace.